universal BABY Stroller Pushchair Pram Liner Pad. Condition is New. Dispatched with Royal Mail 2nd Class. Soft cozy plush and cool woven fabric ensure comfortable year round use. Pillow cushion can make a pretty head. Safety crash tested. We suggest you compare the size with the clothes you currently have before buying. HIGH-QUALITY MATERIALS PROVIDE THE ULTIMATE COMFORT: Ultra-soft and breathable fabric allow for perfect head, back and neck ventilation. USE IT WITH ALL YOUR BABY GEAR: This insert adapts to every type of bouncer, rocker, swing, stroller and more, which makes it an essential accessory for your baby's comfort, whether your little one is laying down to play, rest or sleep. 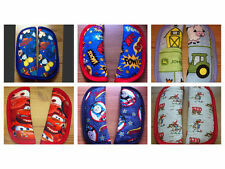 Comfy and soft pram liner has auniversal size and therefore fits almost every pram. Easy to remove and clean,machine washable at 40°C, keeping your pram clean and hygienic. Soft Fleece. Reversible. universal All Set BABY Stroller Pushchair Pram Liner Pad. Condition is New. Dispatched with Royal Mail 2nd Class. Comfy and soft pram liner has a universal size and therefore fits almost every pram. Easy to remove and clean, machine washable at 30 degrees, keeping your pram clean and hygienic. TOP QUALITY LINER. He Peach Universal Liner will fit onto both the main seat unit and the converter seat. 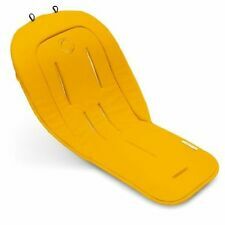 Icandy Peach 3 Lower Seat Seat Liner . Condition is barely Used, but excellent condition. Dispatched with Royal Mail 1st Class. 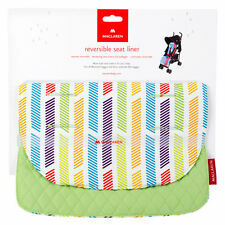 Features： Stroller seat assembled pillow. Provides complete head and body support for your little one. Adjusts to baby’s growing needs with detachable and adjustable head support. Pillow cushion can make a pretty head. Innovative hidden foot rattles stimulate and amuse when baby moves. Keep your baby snug in most car seats, jogging strollers, and swings. Soft cozy plush and cool woven fabric ensure comfortable year round use. Safety crash tested. Size:55 x 50 x 5cm. 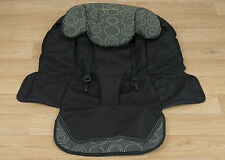 Comfy and soft pram liner has auniversal sizeand therefore fits almost every pram. Easy to remove and clean,machine washable at 30°C, keeping your pram clean and hygienic. Denim hits high of must - have pieces!